Losing the majority of your teeth at any point in your life can have several adverse effects. Things you took for granted like eating any type of food you wanted and busting out a wide smile whenever someone asked you to are now beyond your capabilities. For many people, remaining without teeth for the rest of their life is just not an option and so they look into what can be done. Many of them end up deciding to get dentures and understandably so. Dentures will help you feel as though you have functioning teeth again. Still, dentures aren’t exact replicas of teeth and there are folks who struggle with them because they don’t feel completely comfortable with what they are wearing. Plus, there’s also that lingering fear that the dentures may fall out all of a sudden that people wearing them have to deal with. Thankfully, denture implants, which are also known as implant-supported dentures, are available to provide people with an alternative. What Is a Denture Implant? A denture implant is essentially a more secure type of replacement teeth. Getting a denture implant involves having a metal frame inserted into a space that was previously occupied by a tooth, according to Authority Dental. There are attachments added to the frame and they are designed to grab hold of the attachments included with the implants themselves. 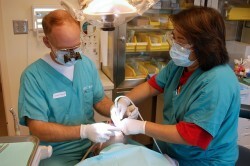 It takes a lot more work on the part of the dentist to install denture implants. Typically, it requires two surgical procedures to have the implants added and then you will need to make more trips to the dentist to have the teeth and the other parts installed. In exchange for committing to denture implants, you will be able to feel more confident, secure, and they should also last for an extended period of time as long as you take care of them. Speaking of taking care of denture implants, it is recommended that you follow the seven tips that are listed below if you want your implants to as last for as long as possible and to look great all the time. Denture implants function remarkably similar to normal teeth. So, since normal teeth are brushed regularly, you need to do the same thing for your implants. Brush as often as your dentist will tell you to. Brushing will help maintain the great appearance of your new teeth. On top of that, brushing is also essential to making sure that the teeth remain intact and ready to work on a daily basis. If you were unable to brush your natural teeth regularly, you will be given a chance to redeem yourself with your denture implants. Remember those attachments I talked about earlier? 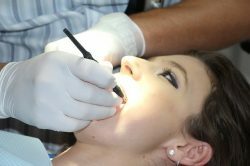 You should really make an effort to keep them in mind, because just like your teeth, the attachments also have to be cleaned on a regular basis. You don’t want any bacteria hanging around your new teeth and that means cleaning them and their surroundings thoroughly. This task can become tedious in a hurry but it’s something you have to do to preserve the quality of your denture implants. Go ahead and ask your dentist for some tips for how to properly clean your specific set of implants. One of the reasons for why cleaning the attachments of your denture implants can turn into a tedious task is because that is something you have to do every day. After a long day at work, you may not be up for another cleaning session, but again, diligent maintenance is essential to keeping your new teeth functional for as long as possible. Along with the teeth and the attachments, you should also clean the areas surrounding the implant and the gums, according to Colgate. This task shouldn’t take that long and it’s something you can do every night before going to bed. Another thing you will want to do before going to bed is to remove the denture implants themselves. You want to remove them not because they may fall out and break or anything like that. Instead, you need to remove them to ensure that you’re not putting yourself at risk for any infections. The odds of you getting an infection from denture implants are already quite low. However, if there is something you can do to further lower those odds, it would be best to adopt them as regular habits, right? That’s why it’s a good idea to put off cleaning the denture implants right up until the time you are about to sleep so you can also just put them away after that. Denture implants will not restrict your eating. If you want to chow down on a steak, you are free to do so. 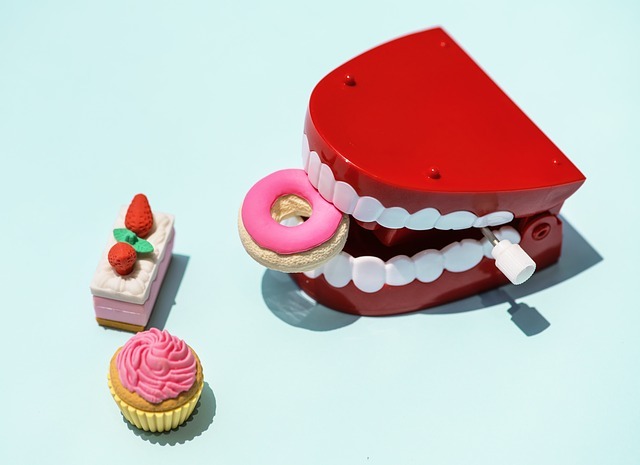 However, it is worth noting that hard and sticky types of food can cause some damage to the denture implants. To be more specific, the implants can end up damaged if you chew those types of food for too long. Instead of biting down on candy, it will be better to just let it melt in your mouth. You could also just avoid those hard and sticky variants of food so that you won’t make the mistake of chewing on them. Your visits to the dentist won’t end with the installation of the implants. It is still important for you to schedule regular appointments so that you and your dentist will be frequently updated on the status of your implants. Schedule at least one appointment per month at the Denture Haus. If you can make the time to attend more appointments within a month, then feel free to do so. One last thing you will want to do with your denture implants is to simply feature them more often. Losing your teeth likely affected your confidence level, but now that you have them back, there’s no reason to keep your bright smile in hiding. Don’t shy away from showcasing your denture implants because they are designed to look exactly like the real thing. The adjustment process involves more than just taking care of your denture implants. It also involves taking advantage of them and allowing them to boost your self-esteem.